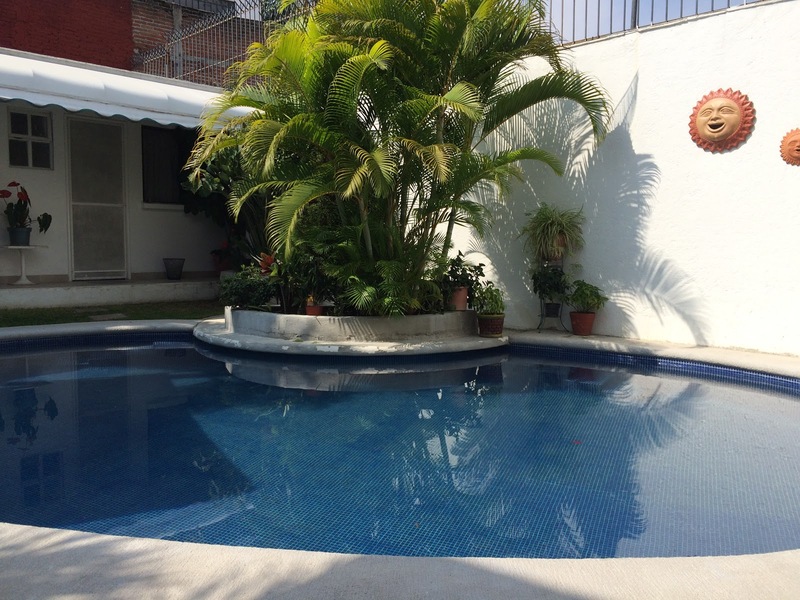 The weather in Cuernavaca was beautiful today! Another cool morning with sunshine all day. The rains come at night. It really is a gorgeous climate and it’s like this year round (minus the rain). I dropped my laundry off at the laundromat on the way to school and then stopped at a bakery for a muffin and some pan dulce (sweet bread). I have been staying away from most of the baked goods here, but today I had a craving for something different. 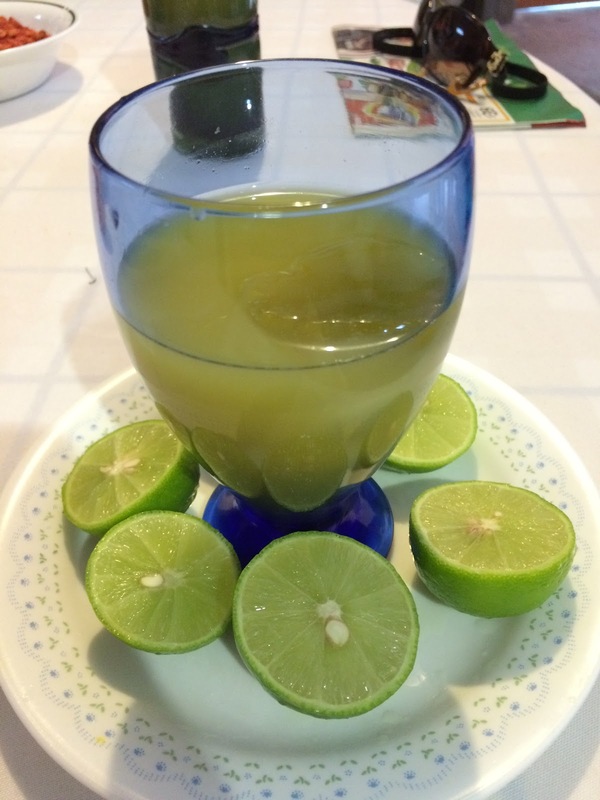 Mexico does not have a reputation for great desserts. Most of the baked items that I have tried are not very sweet (by my northern standards) and are fairly dry. Today’s pastries were no exception. They weren’t horrible, but they also weren’t like those you might get at Servatii’s Bakery in Cincinnati. 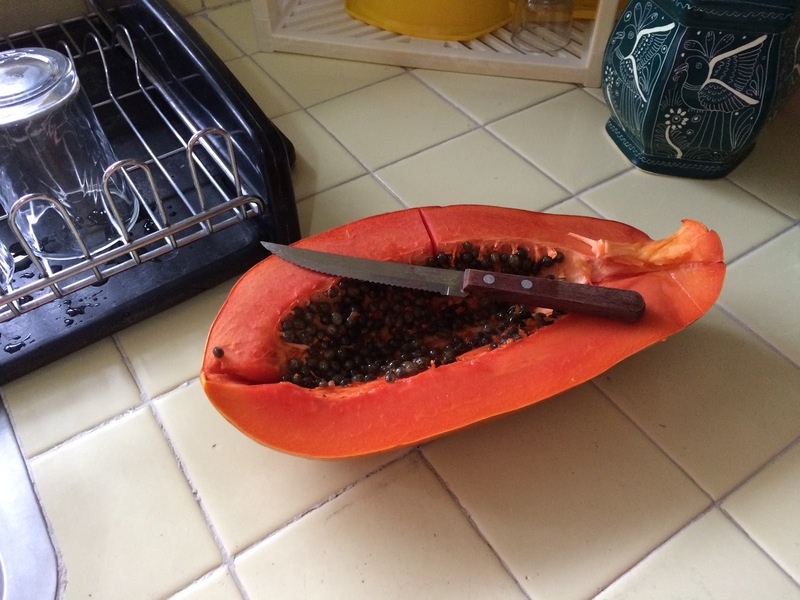 If only we could have papaya this ripe every morning back home. Who would ever reach for pastries if this were offered daily! The first time that I tried papaya was during my summer here in 1991. I hated it. I thought it had the strangest texture and just couldn’t get used to the taste. Now, I absolutely love it! I always try to buy ripe papayas in Cincinnati, but they are hard to find and are also fairly expensive. They NEVER look anything like this! This is our kitchen. It’s small and functional. We sit outside to eat every meal. People here don’t need much. In our home, there are very few processed foods so there is no need for a large pantry to house boxes and packages of food. We have been on a mostly “whole food” diet since we have been here. Everything is made to order and is fresh. I have noticed a big difference in how I feel based on the way I’m eating here. The fat content is definitely higher and the calorie intake is dense, but I’m not snacking at all and I’ve cut out most of the processed convenience foods that we eat so often in the states. 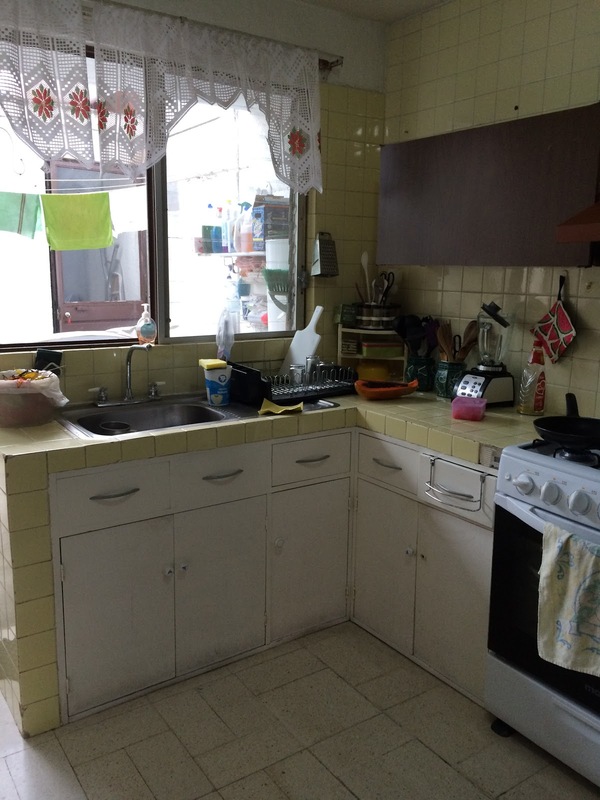 Our kitchen is cleaned daily by our housekeeper, Esperanza. She comes to help around the house every day (except weekends). 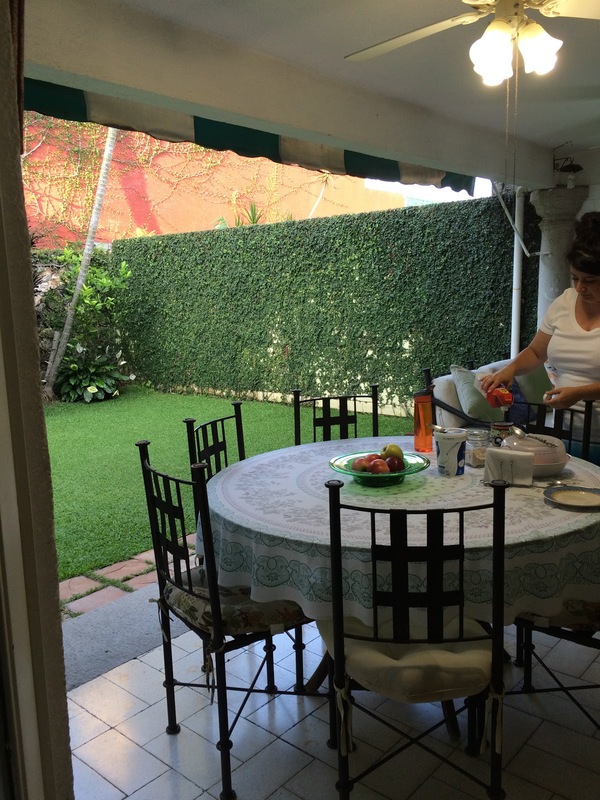 It is very common to have a housekeeper in Cuernavaca. Because wages are so low, it is quite affordable. It is weird for me to sit down at a table and wait for someone to bring me a home-cooked meal. 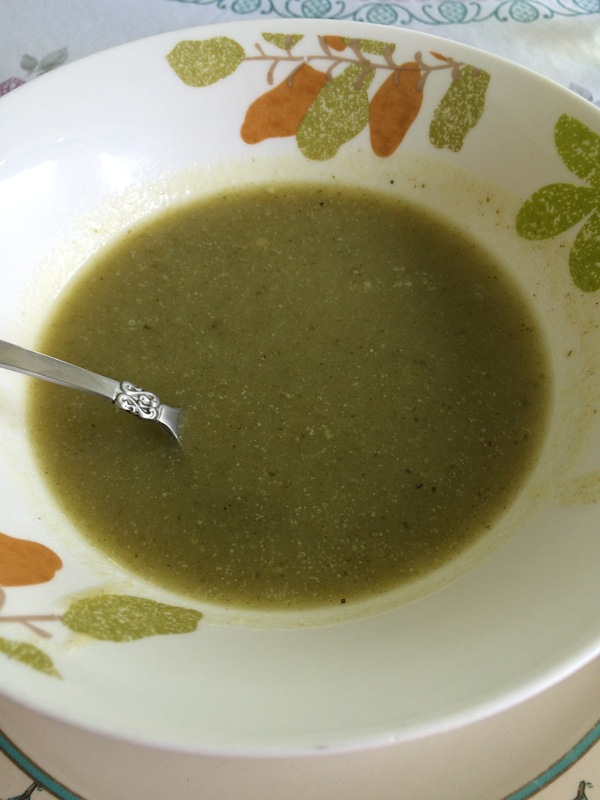 Today, we started with celery soup. Which was followed by meatballs and rice (no pictures because I was starving and ate it right up)! After lunch, I walked to Zumba. They just love their Zumba here! It is not like Zumba in the states. This Zumba is crazy Zumba. We move so quickly that I get dizzy. It was my last class today because I won’t be available the next two days. I’m sad because I have really loved this activity and will remember it fondly. 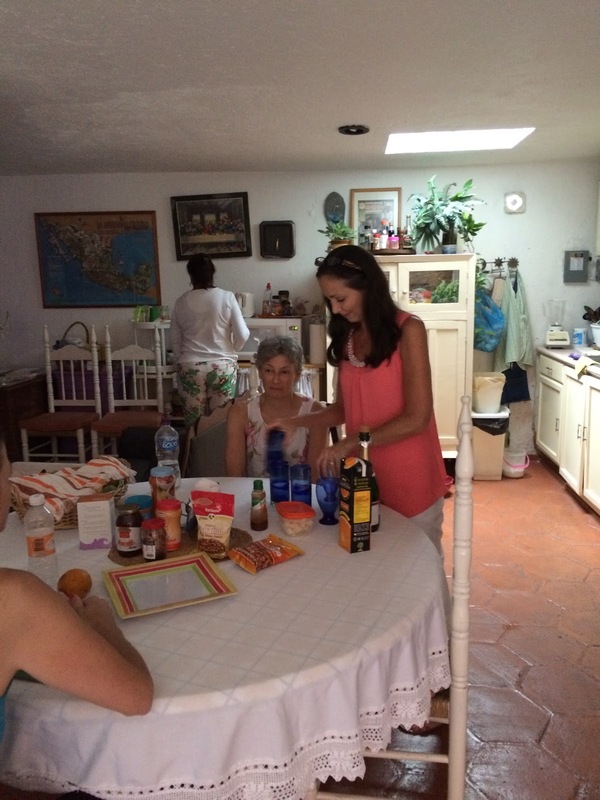 These pictures were taken at the home where my teacher friend Mary Alice is staying. She has an amazing host mama. Yes, she has a pool and her own kitchen in her home! Next time, I’m staying at this house! 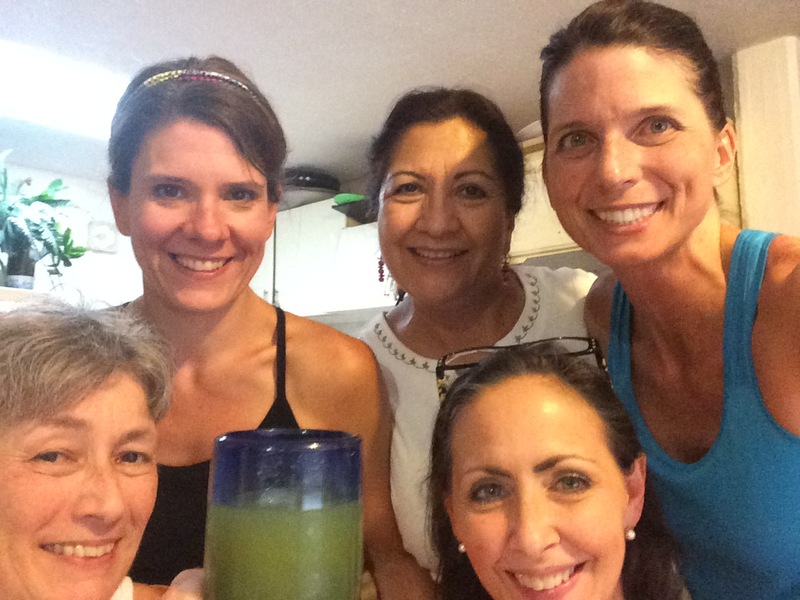 We spent the evening having mimosas and botanas (little snacks) while speaking in Spanish, of course. 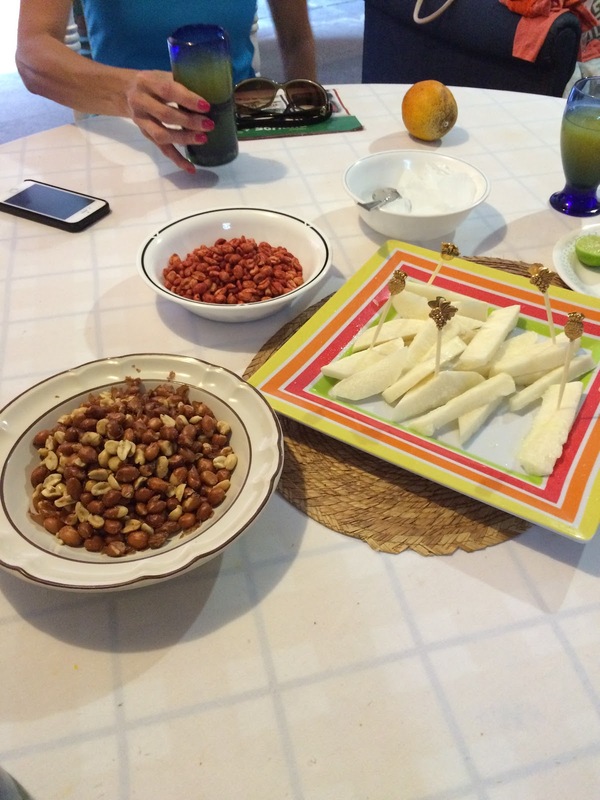 My favorite is the jicama with lime and salt on it. This is definitely going on my grocery list from now on! It’s amazing and fresh! My trip has been wonderful so far and it makes me sad to think of saying goodbye to these ladies on Saturday. What a bond we have in just a short time! They are strong, compassionate, smart teachers and I have been honored to be here with them.